Compact style! The P33 is a small fireplace with all the benefits of a Panorama. 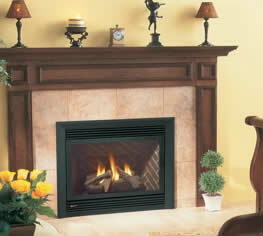 Perfect for cozy living areas, the P33 offers a beautiful fire and controllable heat. Design your own P33 with stylish Panorama accessories. Create the ambiance of a wood fire with the convenience of gas.